Michael was appointed as successor to Nigel Worthington in February 2012. The team’s 2014 World Cup qualifying series was a mixed bag of some decent performances and poor results. Despite this the former Coleraine and Newcastle United winger signed a new two-year deal in November 2013 and the association’s faith in him was repaid when Northern Ireland re-wrote the record books by topping their group – the first fifth seeded team to do so – in the Euro 2016 qualifiers. 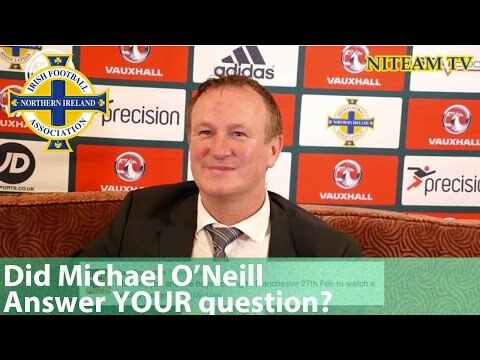 He then guided Northern Ireland to the last 16 in their first ever European Championship finals appearance - in France in the summer of 2016. And they are currently sitting second in their qualifying group for World Cup 2018. In March 2016 Michael signed a new four-year contract with the Irish Football Association.